Overview: The course material is designed to provide a working knowledge of the plastics industry through intelligent discussions and lectures. The bulk of the time in this workshop will be spent on the part design requirements imposed on the designer by the injection molding process. The instructor and course material provide a simplified and practical approach to designing products that will be created with plastic materials. Participants will recognize fundamental concepts necessary for designing products with plastics with respect to the various processes and available plastics. The one-week course is a more comprehensive look at one or more specific manufacturing processes. 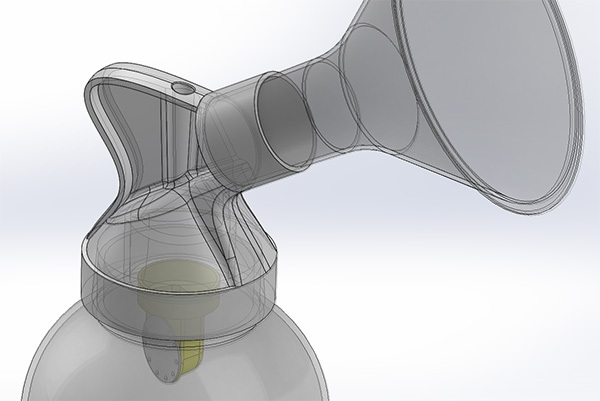 We also offer a more extensive study and usage of SOLIDWORKS and/or Creo. You may also be interested in our One Week Manufacturing Class, a one-week course that covers die casting and forging, in addition to along with the plastic part design portion. Similar Course One Week Manufacturing Intensive , Die Casting Part Design, Mold Design for Plastic Injection. Onsite Training: This and all Design-Engine courses are offered onsite at your facility. Call to speak to an account manager and arrange a class at 312.226.8339 today. Prerequisites: General knowledge of SolidWorks, Creo or other 3D CAD modeler is imperative for your experience in the course. Compare plastic injection process to die casting. Mold filling, gating and weld lines. Shrinkage, warpage and part ejection. Welding and adhesive bonding technology. Mechanical fasteners, press and, snap fits. FEA, design recommendations, and flow mold analysis software. Design of injection molded undercuts. Various plastics and their material characteristics. Ways for Engineers to utilize tooling and injection molders as a resource to design better parts. The metal mold itself and many of its intricacies such as sleeve ejection and how it is cooled, sprue and runner, ejector bars, ejector plats, and ejector pins. How an injection mold functions in detail. This includes mold fill short shots and cooling. How China plays a major role in injection molding. Discuss the quotation process for tooling and discuss partnering with local injection molders vs outsourcing. Discuss strengths and weaknesses of outsourcing. 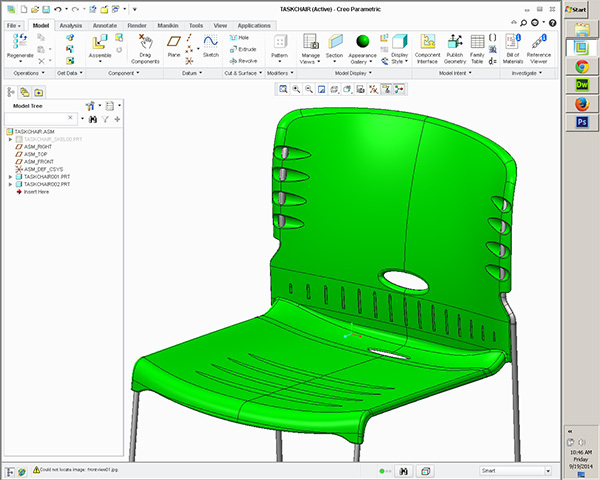 Discuss basic design elements in plastic part design. Holes, ribs, thin wall features, bosses, nominal walls, and fill. Discuss general rules for hollow boss design and discuss best practices. Learn about thin steel or thin blade areas and discuss ways to avoid. Discuss multiple plastic processes with respect to injection molds, vacuum formed parts, steel tooling, processing factors, nominal walls, radii & draft angles, ribs, weldlines, stress, cooling plastics, bosses, and undercuts. Discuss gating and discuss problems such as fill vent and eject issues as related to. Also discuss how to design in solutions to possible cosmetic problems. Glass filled and co-injection process and associated problems. Discussion will include teaching ways to add structural integrity to glass filled parts by aligning glass filler. Sink marks and how to avoid using relations in parametric software. Cooling time as related to thick sections of plastic. Internal voids and fundamentals of other problems that occur from improper piece part design. Use parametric modelers and examples where using variables with a parametric modeler can save problems in the future with examples in your favorite parametric modeler. FEA and stress associated with plastic piece part design with respect to FEA. Keeping in mind the deliverable for FEA is simply to make design recommendations discuss the possible solutions to many of the common molding problems. Keep in mind shrink and stress from sharp corners as related to cavity filling. List plastic vendors and discuss their role and how designers can leverage their experience. Discuss the Society of Plastics Engineers and their significance in the industry. Discuss tooling and different materials for mold design. Discuss from a machining point of view and compare to cutting graphite for electrode burning of steel. How to improve flow of the plastic through the mold and discuss Flow Molding analysis software. Design undercuts and discuss advantages and disadvantages as relative to costs. General disclaimers on drawings such as “brake all sharp corners”. Different types of undercuts and side pull options (can be customized if prearranged with CAD manager of your various company). 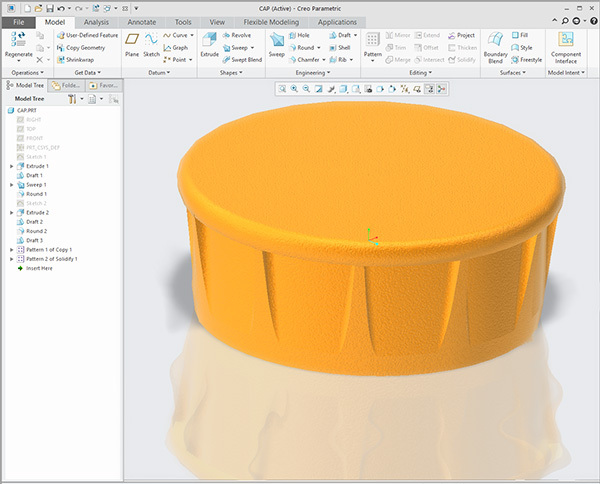 Discuss what challenges (flow, cooling, ejection, handling, maintenance, etc) a mold designer faces when designing a mold and briefly describe in detail using your favorite parametric software an example for creating the cavity and splitting apart the mold base. Draft as related to surface texture kits. Discuss how to call out textures on your favorite drawing program with examples. List 10 different plastics discuss their material characteristics. Learn about relatively new plastics processes such as gas assist. Draft in its many forms complete with examples of split, draft, etc. Light surfacing and its use with plastic part design. Discuss top down design with examples. Discuss making parts that others created. Tips tricks and techniques for starting and completing plastic parts using Pro/Engineer. B-Side geometry creation techniques including PEM inserts, bosses, and ribs. Learn to utilize draft check correctly. This class is the same as our others in the respect that all participants will be able to access password protected HTML training materials for later use after the workshop.